Here is a sample of our past sales. If you see a certian vehicle that interests you please contact us and we will try and locate it and or contact you when such a vehicle arrives. N.O.S or New Old Stock is new original manufacture parts. 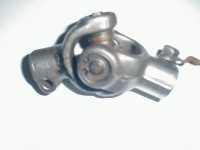 Many times these parts are no longer available from the manufacture or are very expensive. We have a select inventory of N.O.S parts for Porsche and Mercedes Benz. These parts are an excellent choice if you are restoring or replacing broken or damaged parts on your vehicle. 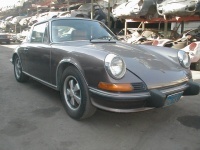 We also have a selection of hard to find used classic car parts too, which are listed below. This is just a sample of what we have. Please contact us if you are looking for something that you do not see listed on this page. 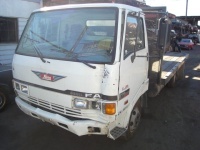 We have a great selection of Japanese mid-liner diesel trucks for sale. From late model easy repairable trucks to ready to go trucks. We can also add or switch truck bodies to suit your needs. The vehicles we sell are sold as is with no written or oral warranties expressed or implied. We strive to accurately describe the vehicles with pictures and descriptions on our web-site. Interested parties can also contact us with any questions you might have or come on by and visit us by appointment. The prices listed do not include taxes, titles, and fees, which are extra. We also have a select inventory of vehicles for sale. Our inventory ranges from classic and collectible cars to highline and exotic cars. The vehicles we sell are sold as is with no written or oral warranties expressed or implied. We strive to accurately describe the vehicles with pictures and descriptions on our web-site. Interested parties can also contact us with any questions you might have or come on by and visit us by appointment. The prices listed do not include taxes, titles, and fees, which are extra. The vehicles pictured on this page are just a sampling of what we have. We are constantly buying new cars and trucks and fresh inventory is arriving weekly.